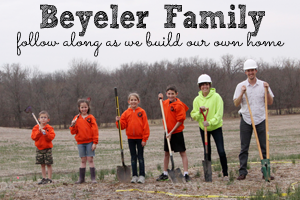 Building Beyeler Hollow: Day 281: Let There Be Light! It's funny how certain little bits of progress on the house seem to have a big impact. For me, its the things that start making the house more functional. We made progress in a couple of those areas recently. One of them was getting some interior lights installed and working on the main level. Since one of our goals was to build an energy efficient house, we're using almost all LED lighting. For the main level, I installed recessed can light housings on all the flat ceilings, and purchased LED lights to go in the cans. Mandy worked hard during the day to get the ceilings painted, giving us the green light to get some lights working. Since I returned to work full time today, I only had about an hour in evening to work on the house, and lights were the focus. Steve installed the lights in the cans, while I wired up a few switches to get them working. 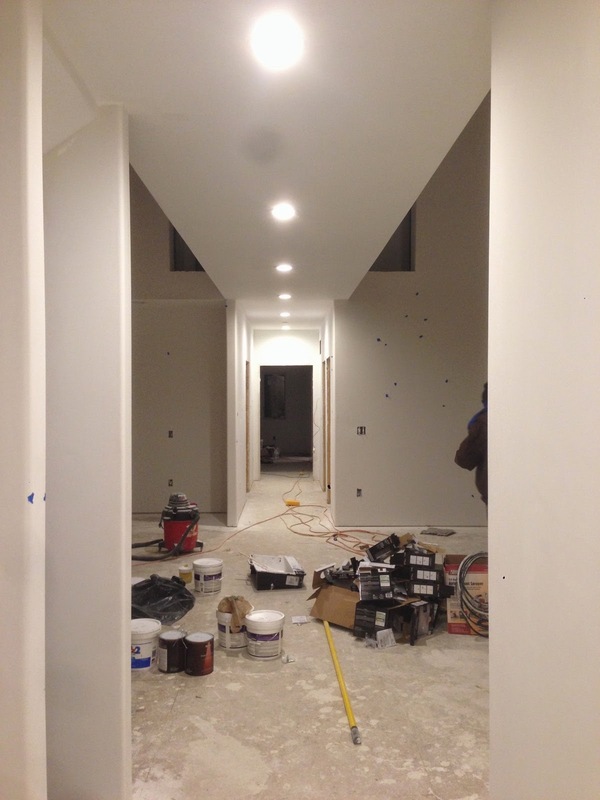 Here's a shot of the lights installed in the hallway from the garage entrance to the master bedroom door. Painted ceilings, installed interior can lights in hallway.